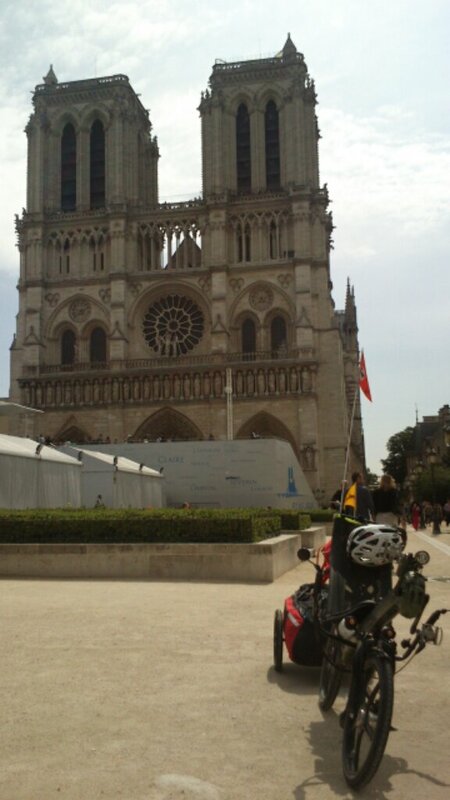 Paris was beautiful – I’ve seen the Notredam, chatting with a spanish couple. Talking to an Argentinean family while the kids a playing football in the Jardin Luxembourg – as they told my about the (expensive) daily live in Paris. And that they are tanto teachers and plan an Tango Festival on the Ile de Ré in November. Unfortunately we haven’t learned tango in the beginner’s dancing course… it’s a pity. This time I’ve visited natural places like the Jardin – last year when I went along the coast of Brittany I found the big monuments. So now I’m looking forward to the bustransfer over the big bridge in St. Nazaire – and than to my hotel for the first night in France.